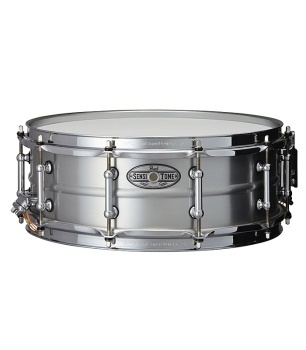 The SensiTone Series is outfitted with Pearl’s SR-150 snare strainer, featuring a Gladstone-style throwoff with Pearl’s Click-Lock technology which “locks” the snare lever and tension adjuster to retain your settings no matter how hard you play. The piston slider provides a dependable and smooth action with firm snare tension control. Pearl’s SuperHoop II hoops make for even head-tensioning and lasting durability.